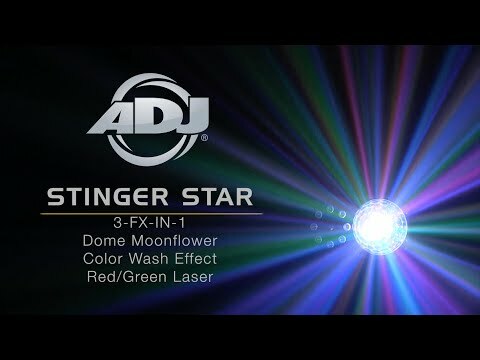 Considering purchasing the American DJ Stinger Star? Have questions? Ask people who've recently bought one. Do you own the American DJ Stinger Star? Why not write a review based on your experience with it. 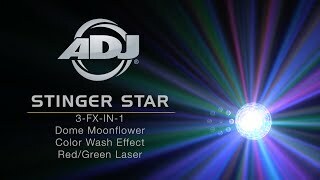 Fantastic 3 in 1 light fills the entire room / venue goes well with the Gobo star linked together, i’ve been using this fixture for a year now just great for any occasion. Hands down one of the best lasers by ADJ, not only does it look like a lovely diamond, but really puts on a great disco ball effect plus its also added with great laser patterns on top so it can really steal the show. Great light , really bright and gives you a lot of different effects for the money. Seen a video for American DJ Stinger Star online or have you own video? You will earn 700 loyalty points with this product worth £1.75, when logged in. Check out American DJ Stinger Star on DJkit.com!